Hey guys! 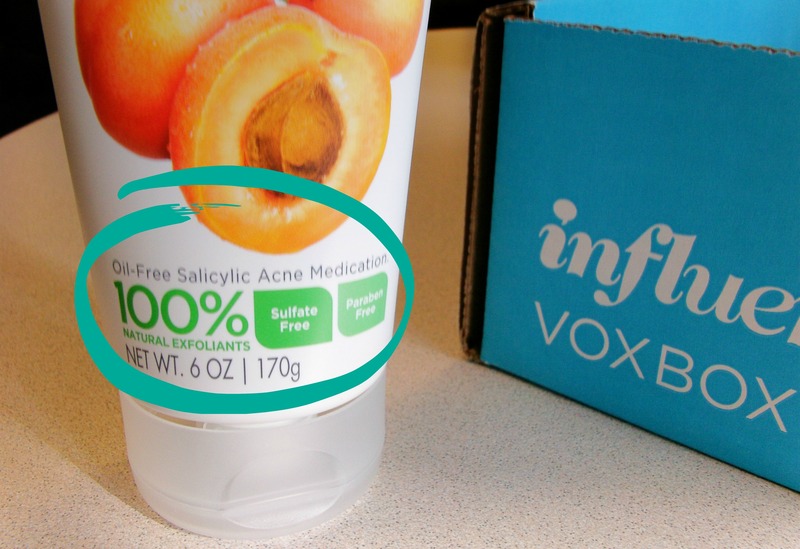 Today I'm reviewing the Influenster Campus VoxBox received free courtesy of Influenster. 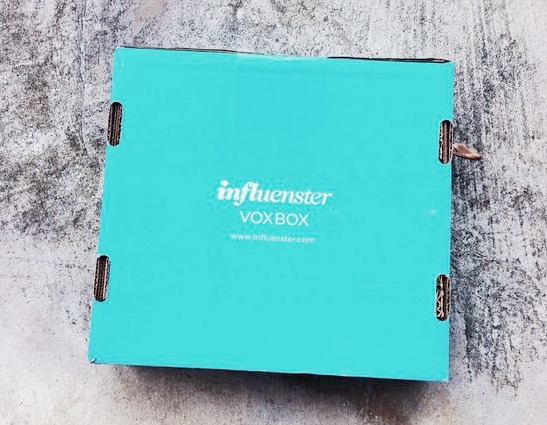 You can check out this post here for more on what Influenster is and how to receive your own free products to review. This time around I got a bunch of full size products themed around college finals and other college-related products. I really like this box because I could put basically everything to use and I was already familiar with all of the brands. I like sour candy, like sour patch kids and things alike. So I was happy to have gotten full size sour candy products in my box. They both were pretty good. 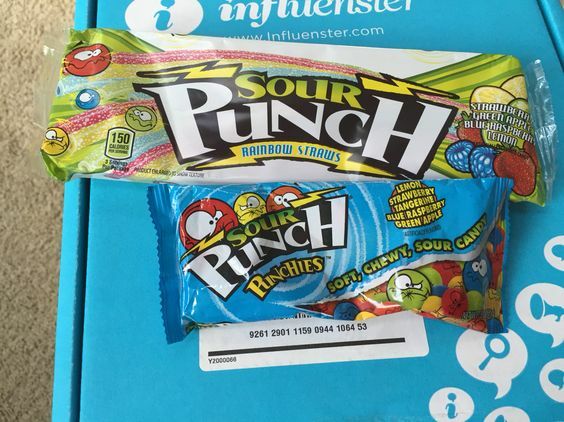 The Sour Punch Punchies are essentially small, ball form of the Sour Punch Straws with the same flavors ($1.30/$1.60). The Straws were pretty big; I couldn't finish the pack in one sitting. They can make the plastic oily and sort of sticky. 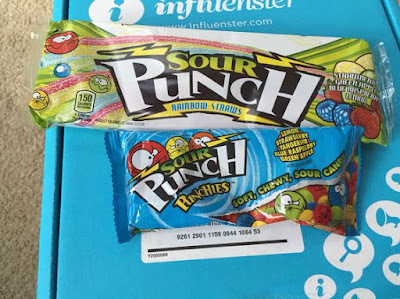 The Punchies are ideal if you're on the go or if you want a low maintenance snack. The Straws are good if you're going to be sitting down studying for a while and you want some candy to snack on. 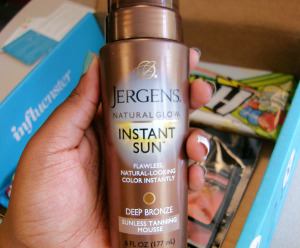 Clearly, there is no real point in me using Jergens Natural Glow Instant Sun Sunless Tanning Mousse ($13), considering I have dark, tanned skin naturally. But I asked two of my friends who either tan or have trouble tanning to test this product out. They both ended up having a very natural looking tan (I was really impressed). The product comes out like foam, and you apply it evenly to the skin. What is good about this is that there is no orange tint, no rub off, and it can build on the skin with multiple applications. Plus, there was this sort of glow - the skin didn't look dried out. The outcomes were similar to the ones found here. I tried it, and there was a dark spot left on my hand. So it even tans my skin tone. 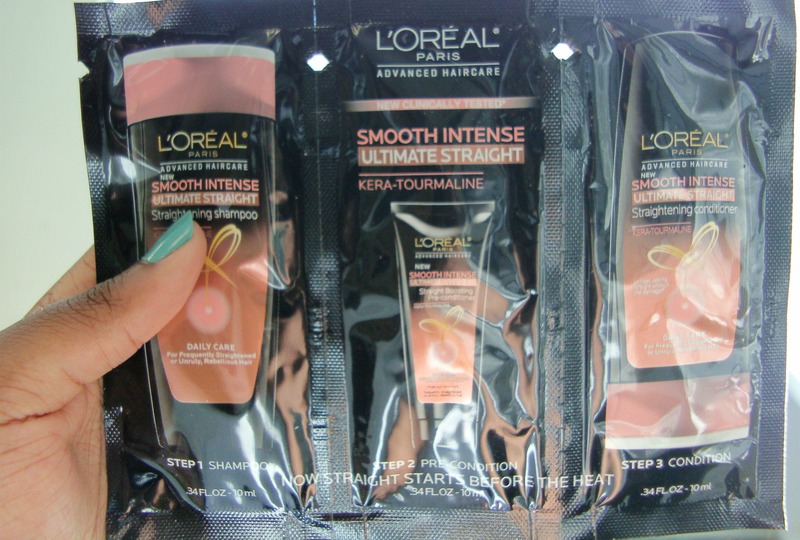 Another product I didn't get a chance to really try out is the L'oreal Paris Advanced Straight Solution ($6). The collection is a shampoo, pre-conditioner, and conditioner. I opened it a little and it smelled good just like most other shampoos, but that's about all I can review on. I know it has Keratin in it, which is good for your hair, but I'm not sure about how effective the collection is. 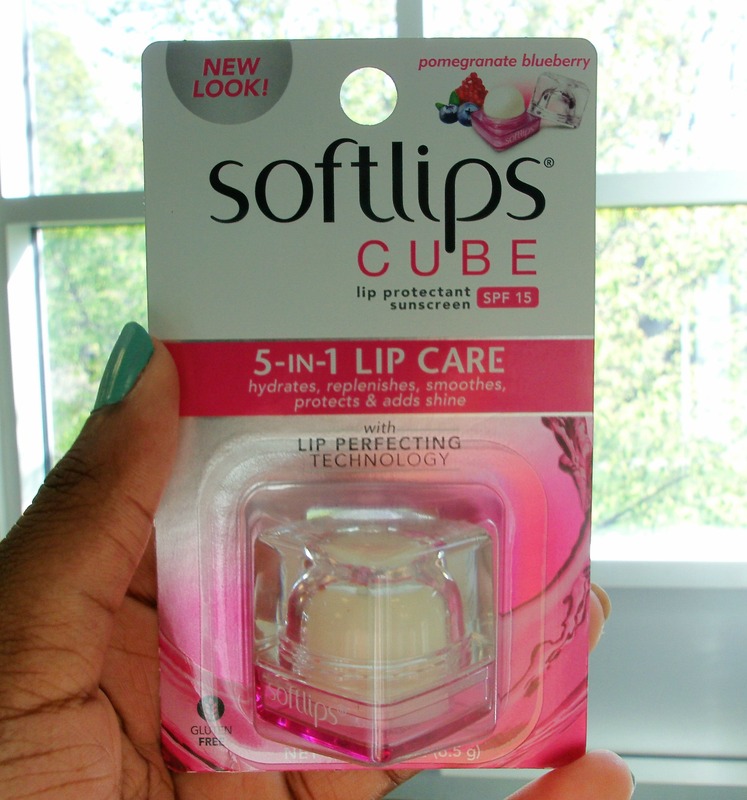 The next product is the Softlips Cube in pomegranate blueberry ($3.50). I think this lip balm is really useful, and to be honest better than the eos lip balm. It makes my lips feel soft, it applies easily, and it smells good. The best part for me, though, is that it has SPF 15. Unlike other lip care products that claim to have any SPF, this one doesn't leave a waxy film on my lips. Instead they are left feeling hydrated. The only thing, still, is that it leaves an awkward bulge in my crossbody bag just like the eos lip balm does. 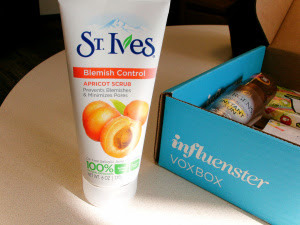 Finally, the last product and by far the best thing I've gotten from Influenster: the St. Ives Blemish Control Apricot Scrub ($4.50). My skin has reacted so well to this product. After the first use, I instantly felt softer, smoother skin. I've never really had a blemish problem. My skin is always clear (good genes, I guess). But with this stuff, the stress bumps I've gotten a couple of times are non-existant. I just love how much it exfoliates and smells good! I'm so happy this is full-sized. Please note that this product contains Salicylic Acid, which causes a drying/opposite reaction to skin types that react well to face treatments with Benzoyl Peroxide like the Murad Acne Fast Fix Treatment. Reminder, I am not claiming to be a doctor or dermatologist. All recommendations are based on general logic when using the products first-hand. 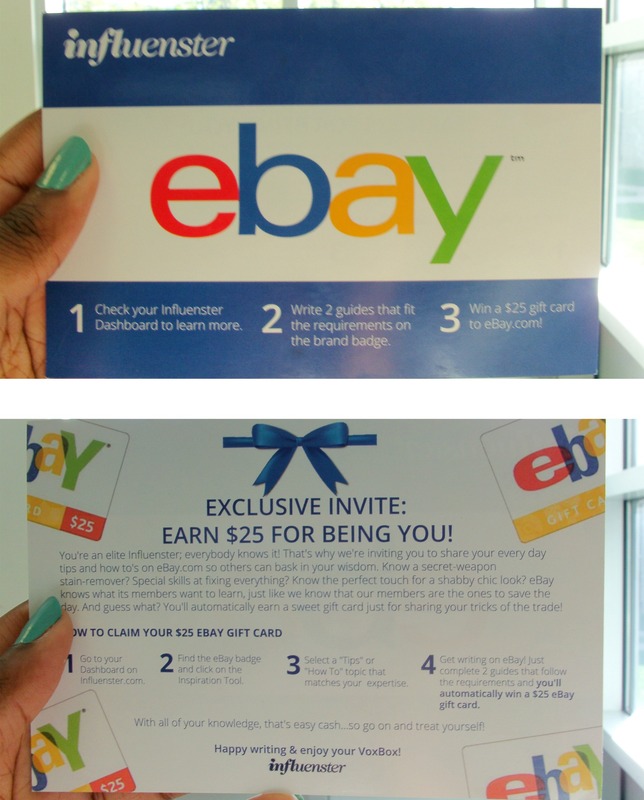 The very last thing that came in my box was a card from eBay, which basically invited me to write 2 guides on the website to earn a $25 eBay gift card. The topics that I got for my guides were randomly on Christmas Party Frames and Key Remote Fixes. This gives me a chance to checkout eBay Fashion, as talked about in a previous post, and buy beauty products off eBay for the first time. Or maybe I could just buy something for Mother's Day instead of doing a DIY regarding a jewelry box I've been looking into, which can be seen in a following post. I really enjoyed each product because of your reviews I'm not afraid to try and looking forward to purchasing the St Ives scrub.~Thank you.